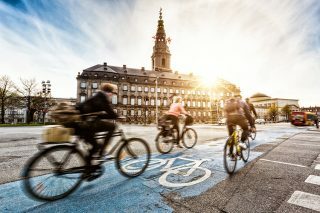 Stepping up into the world of corporate middle management means getting a few perks: a customary celebratory dinner, your own office, maybe even your own parking lot. Filling that last one demands a bit of creative thought. Nowadays, even cheaper cars look pretty good compared to, say, a decade ago, but you wouldn’t be caught dead driving anything without a German badge. 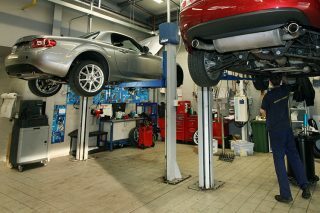 That’s where the Lexus ES250 comes in. 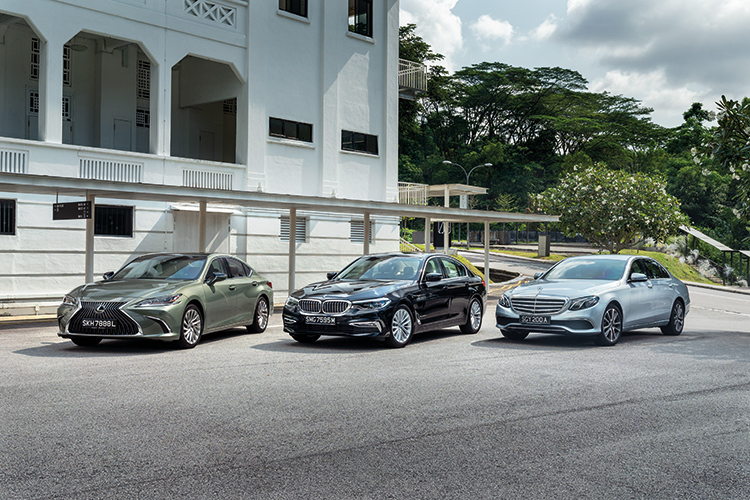 With its newest executive sedan, Lexus’ efforts of fighting the Deutschen incumbents have paid off with the ES250 emerging as the Best Luxury Sedan in our 2018 ST–Torque awards. Can the way of the samurai once again cut through the competition here? Easily its most accomplished 5 Series yet, BMW’s seventh-generation 520i has morphed into an excellent all-rounder, delivering trademark driving dynamics but cosseting its occupants in luxurious surroundings. 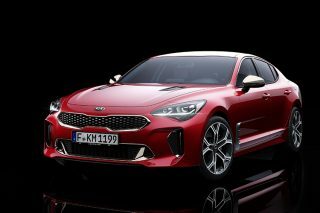 Keen drivers will appreciate its communicative steering, while the lucky chauffeured will love the plush rear seats. 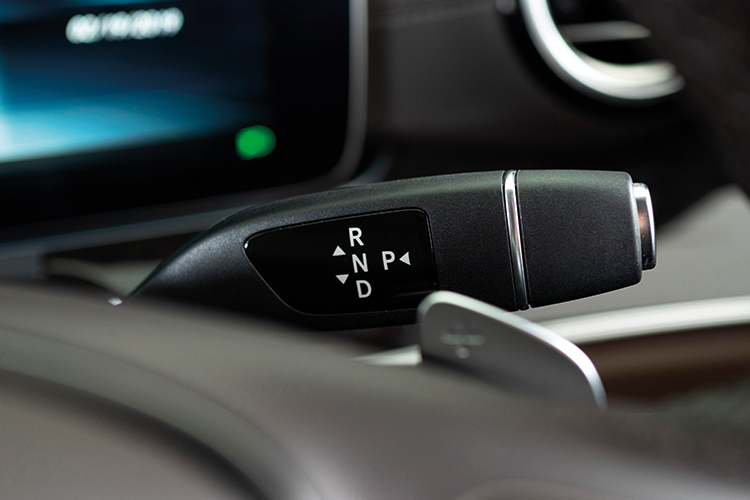 And plushness is something Mercedes-Benz drivers know lots about. 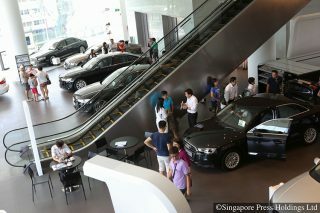 The E200 is the quintessential – some say unassailable – executive sedan of choice, and which most Singaporeans automatically associate with status and wealth. But in this company, can the three-pointed star still shine bright? Get your pens out, and let’s see which tender wins the contract. 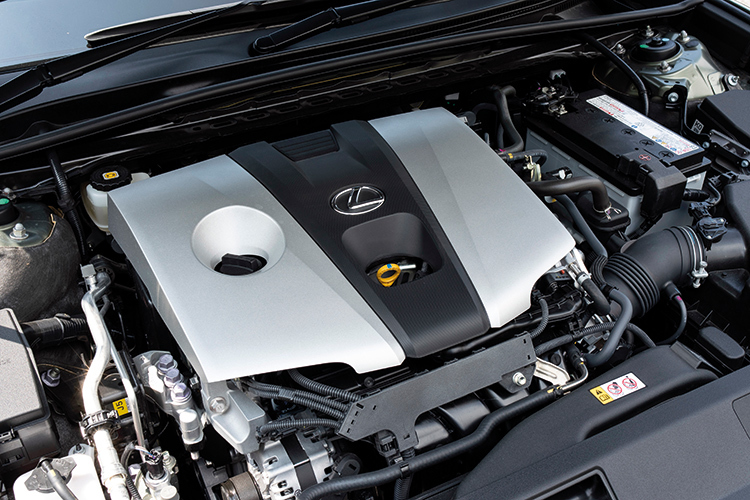 Lexus’s naturally-aspirated 2.5-litre 4-cylinder motor is the strongest, developing 203hp, but the 247Nm of torque is the smallest. The power is only accessible high up in the rev range, so working the engine hard introduces some harshness. BMW’s turbocharged 2-litre 4-cylinder with 184hp and 290Nm of torque provides plenty of poke and just about edges the Mercedes out for smoothness under medium acceleration, though you can occasionally hear it. 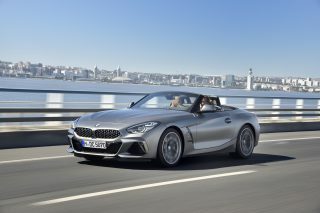 Mercedes-Benz’s turbocharged 2-litre 4-cylinder matches BMW’s 184hp but puts out 300Nm of torque, giving it more effortless acceleration and is quieter than the BMW under load. ES250’s 8-speed automatic is relatively seamless in daily traffic, but least responsive to sudden throttle inputs than the other two. 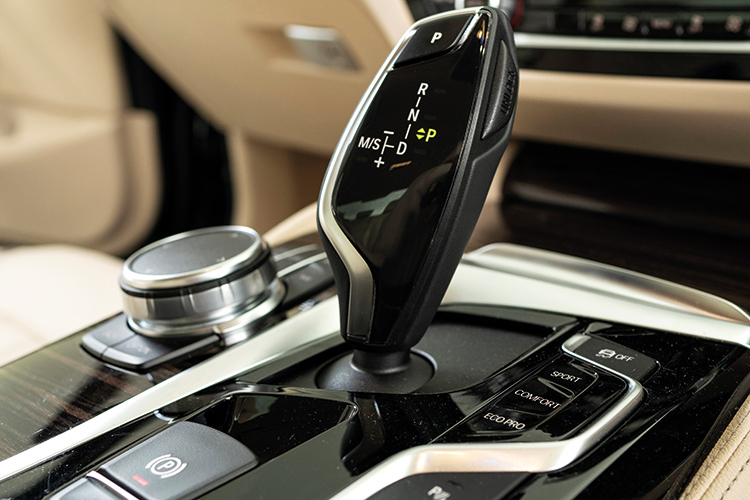 520i’s 8-speed automatic is the most responsive to throttle inputs, promptly dropping down the gears when you flex your right foot for an overtake. 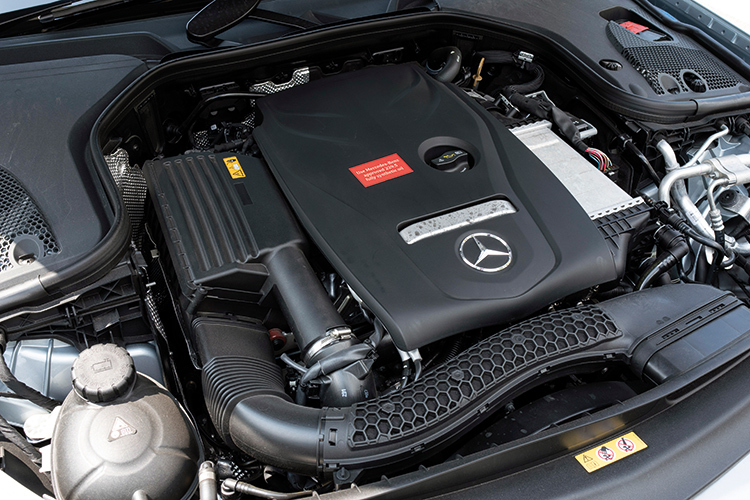 E200’s 9-speed automatic blends gears together seamlessly but is less responsive to sudden throttle inputs than BMW’s 8-speeder. 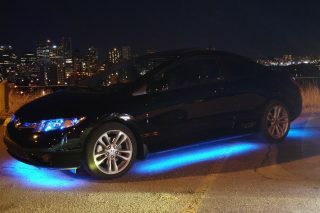 The most limo-like out of all three with a soft and compliant ride. A bit of old-fashioned elegance about it, but that’s no bad thing at all. 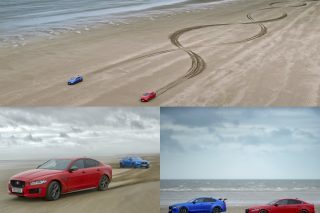 Steering is accurate but ultimately doesn’t convey much information, unlike the BMW. 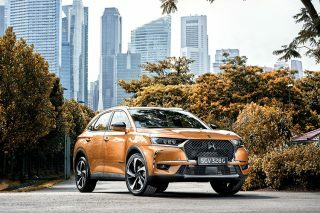 Easily the sportiest of the trio to drive, with incisive and accurate steering goading the keen driver on. Comfortable ride arguably matches the Mercedes’, but the three-pointed star still has the last laugh. 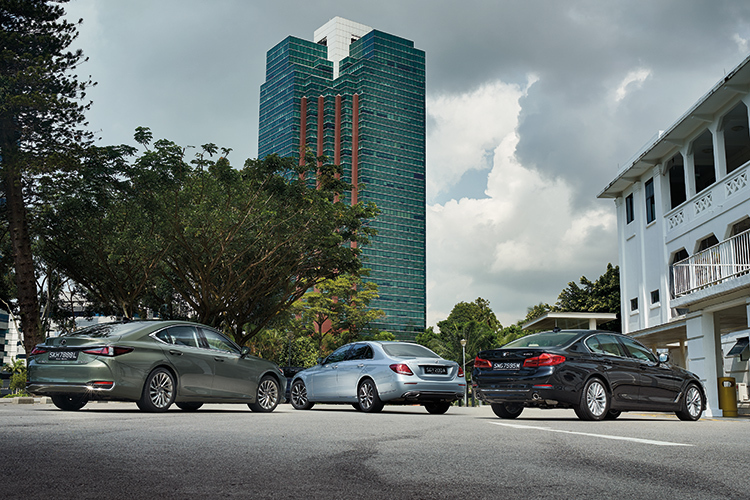 Agility in corners has been traded for more comfort-oriented tuning in the E200, but its target market won’t mind. 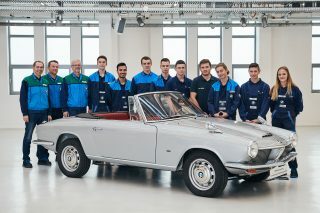 A more serene and composed ride compared with the BMW. Most dynamic cockpit design is ultimately more functional than elegant in this company. Buttons are lovely to press but their sheer number can be bewildering. 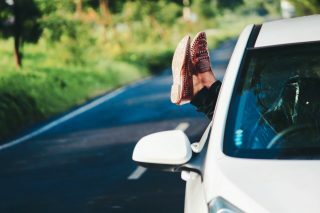 Infotainment system is comprehensive but takes some getting used to, but at least you’ll be in the comfiest seats while trying to figure it out. Most driver-focussed cockpit, with dashboard angled towards the driver. 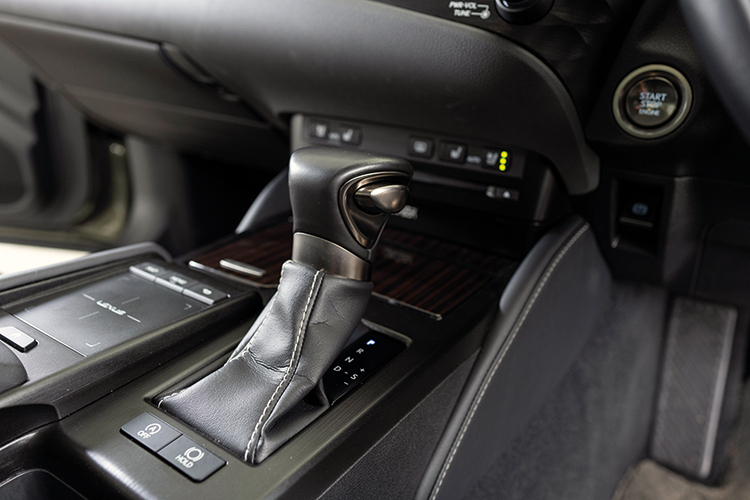 BMW’s iDrive is the most intuitive, and the centre stack has the best melding of analogue and digital. There are knobs/buttons for essentials like air-con and the radio, and screens for everything else. Most avant-garde cockpit of the trio, with two massive 12.3-inch screens. Clearer and simpler cockpit layout eclipses the frenetic Lexus’ in comparison, but glossy finish attracts fingerprints. Main display is extremely clear and easy to read but can feel cramped with lots of information being displayed. Extensive sub-menus are the most comprehensive of the trio. 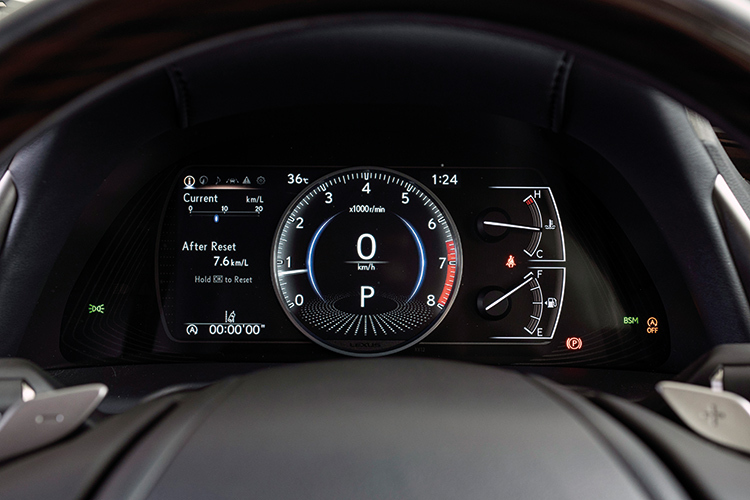 All-digital instrument panel is large and clear, but can feel a bit busy compared to the Mercedes’ display. 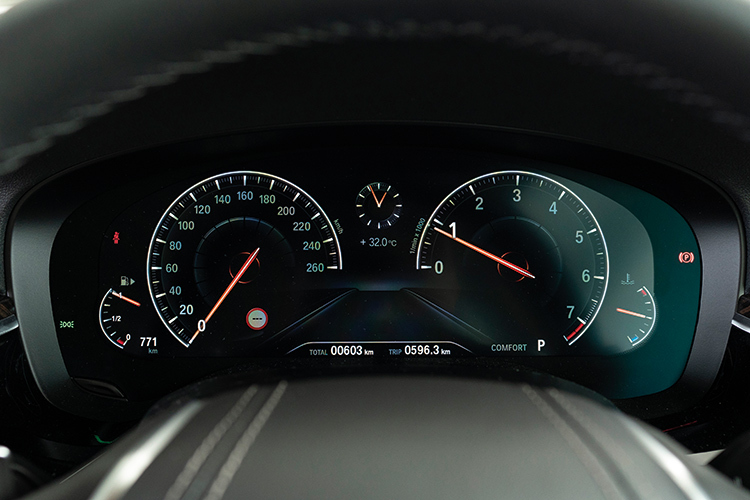 The dials are the sportiest-looking of the trio. 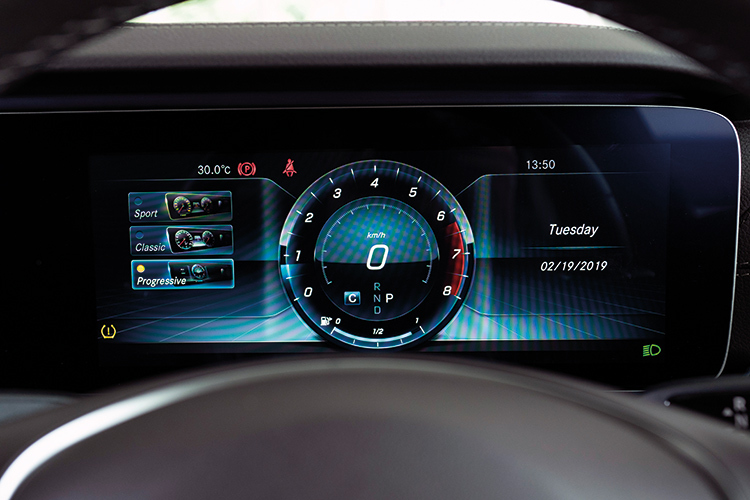 Edges out the BMW’s all-digital display for attractiveness. 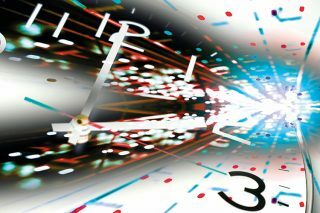 Dials have the most configurations, with a wealth of information presented to the driver. 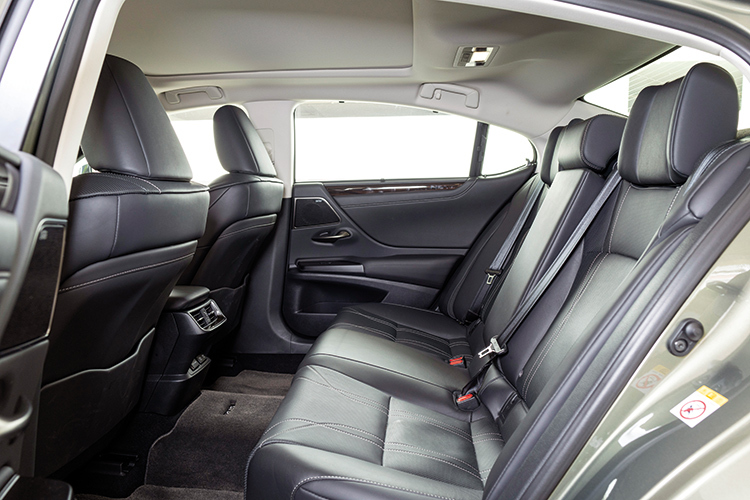 Rear seat passengers can move the front passenger seat forward for more legroom, and it’s easily the most limo-like experience for the rear passengers, with window shades and controls for the aircon and rear blinds. That said, foot space beneath the front seats is at a premium and there’s limited headroom for the middle occupant. Most spacious bench of the three with the strongest air-con blowers. 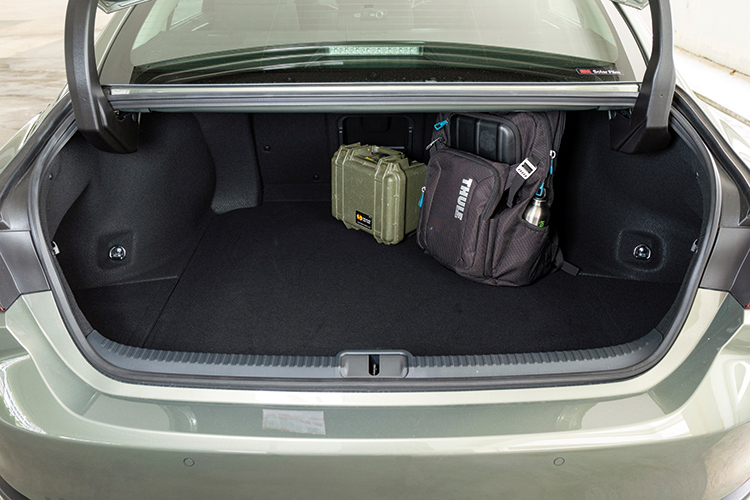 Lots of storage options for rear seat passengers, who benefit from the widest-swinging rear doors that make ingress and egress a doddle. 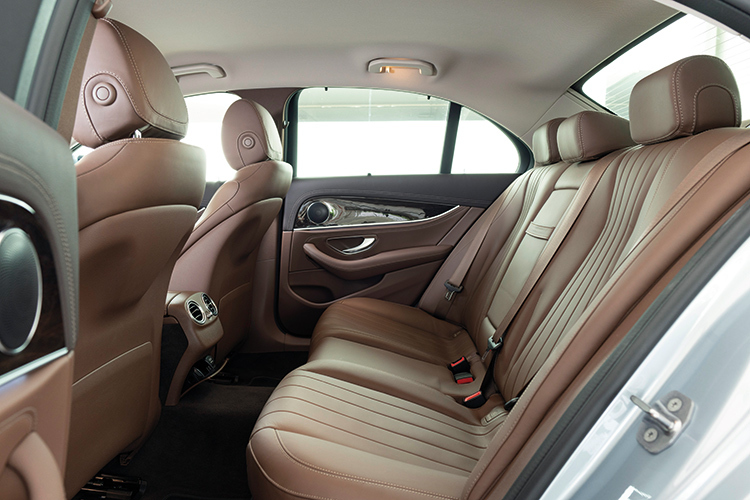 E200’s backseat is not small by any means, but the BMW fractionally edges it out for shoulder room. Wide-opening doors mean ingress and egress is easy, while large rear adjustable cupholders in the centre armrest fit almost any beverage size. Nicer place to sit in than the BMW. 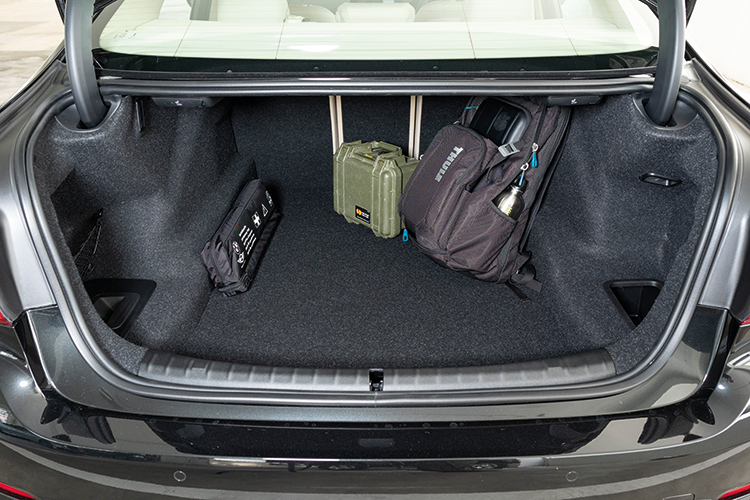 ES250’s 420-litre boot is the smallest of the trio but offers very usable space and is better-shaped than the BMW’s. 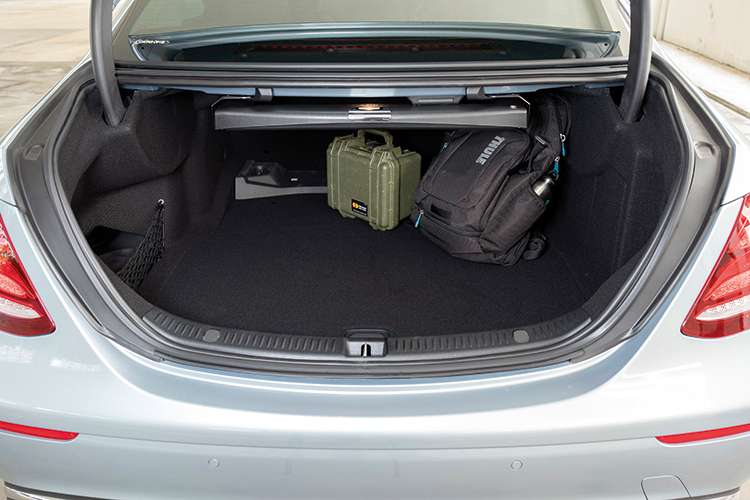 The boot’s large aperture makes loading large items in it a breeze. Has tethering points but no 12-volt socket. 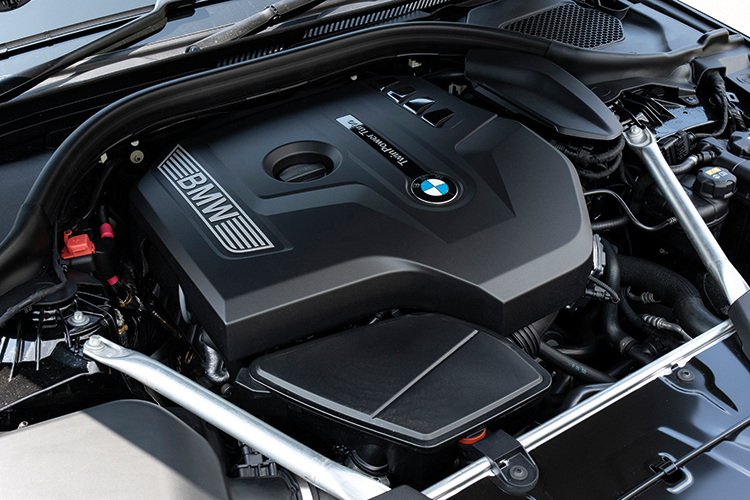 520i’s 530-litre stowage is just 10 litres smaller than the E200’s its irregular shape makes it the least useful. 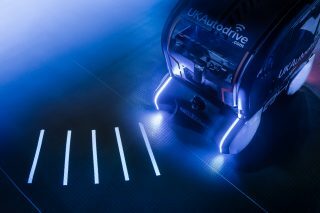 Sole contender with a 12-volt socket lets you plug in things like a vacuum cleaner. E200’s regularly-sized 540-litre cargo compartment is the best here. 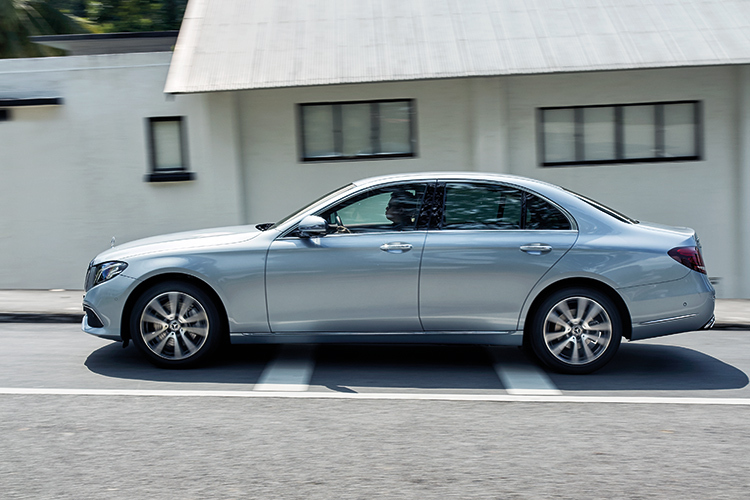 It is also the most usable, but like the ES250, has no option to drop the rear backrests, unlike the BMW. 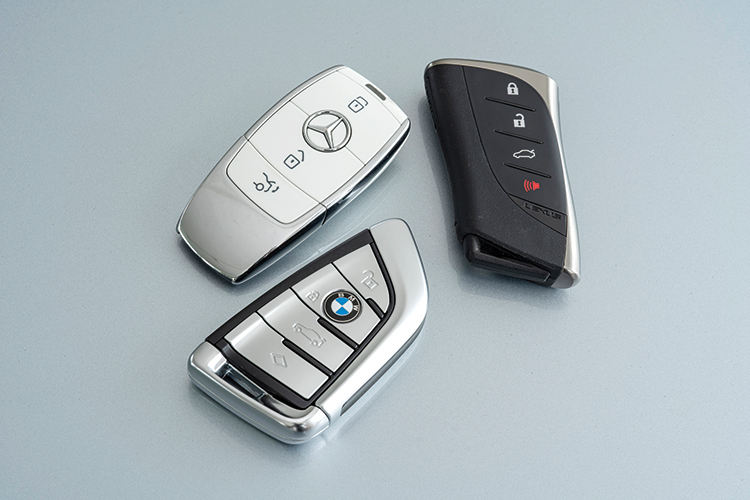 E200 key (left) wins the fob sweepstakes for being the classiest and feeling the nicest in hand; BMW 520i key (bottom) is the only one to let you press the logo to unlock the car; ES250 key (right) follows the car’s design aesthetic and looks futuristic, but feels too a bit too plasticky. 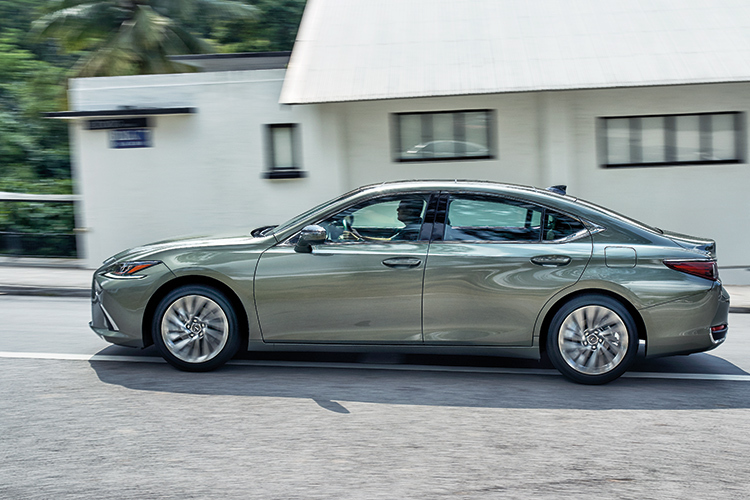 The sleek and sporty Lexus ES250 is straight from a Japanese businessman’s checklist: large C-pillars to shade your face from the hoi polloi, and three-quarter-window shades for enhanced privacy. A vocal engine and tight foot space keep it from rising further, but it remains very much a fully-featured and assertive contender in this group. 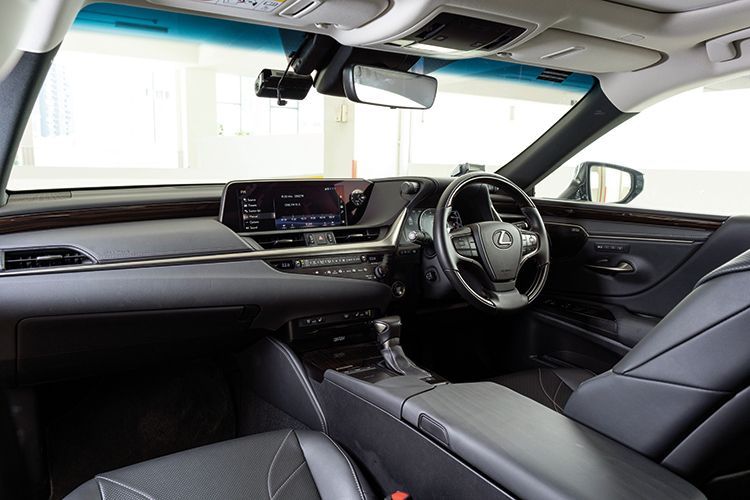 The ES250 is for someone who loves to be chauffeured and enjoys controlling the in-car technological amenities from their rear-seat perch. It’s a very un-German car, and for the better. The Mercedes-Benz E200 speaks volumes for itself. The baby S-Class, long a favourite of the progeny of towkays, maintains its enduring tradition of offering a blissful ride and on-demand performance, all while being wrapped up in a gorgeous body. This time, Mercedes has truly ticked all the luxury boxes, and then some. The all-glass digital cockpit is something out of a Boeing business jet, and we love the elegant simplicity that Mercedes has worked across its new cabins. But for all its plushness, the E200’s drive could do with a bit more sparkle, and that is where the final contender comes in. 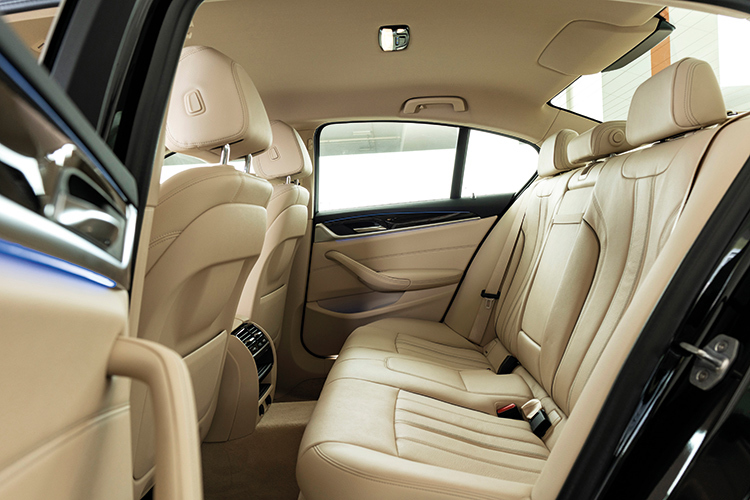 The BMW 5 Series was never the original go-to choice for executives looking for a comfortable and spacious car. But in this generation, BMW has engineered the 520i to be everything the young business exec needs in driving dynamics and interior tech. Even if you’re of slightly senior disposition, the ride comfort should mollify you. 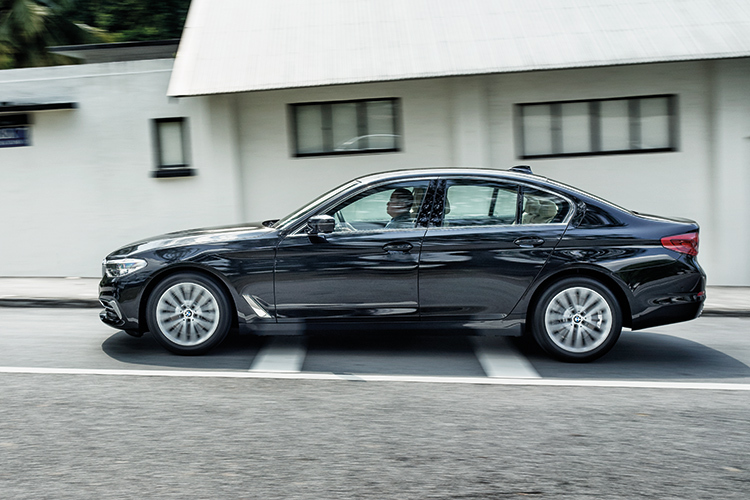 Overall, with its driver-focused bent and competent luxury, the 520i edges the E200 out as a better all-rounder. 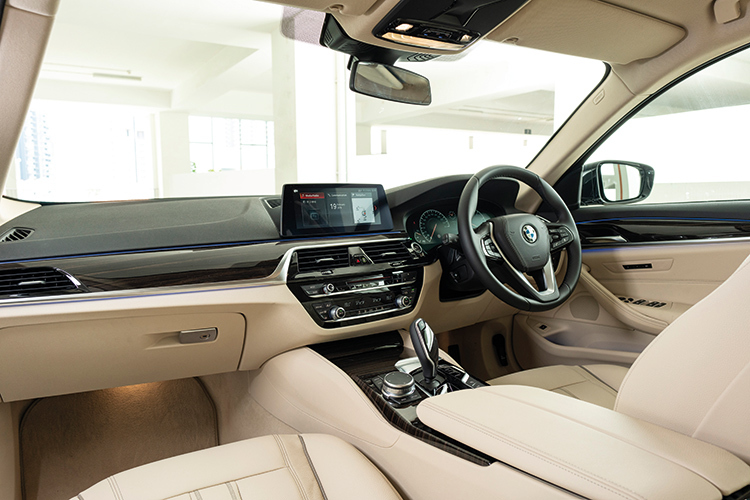 If you’re looking for space, pace and grace, the 520i has got it all.